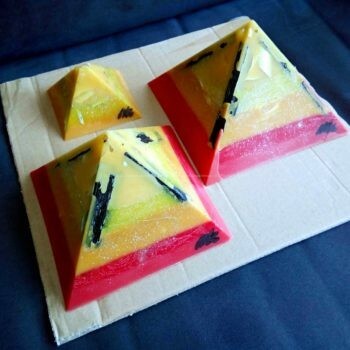 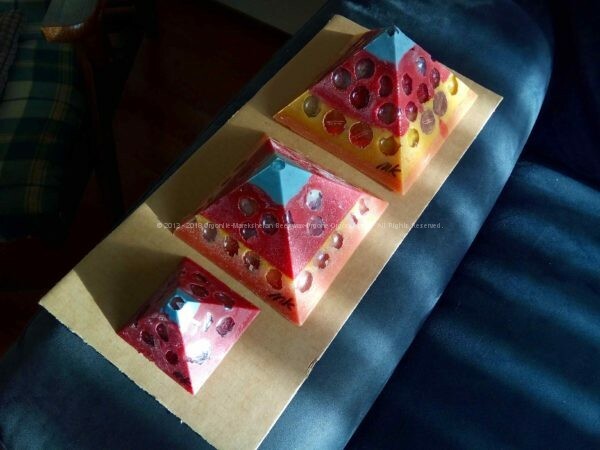 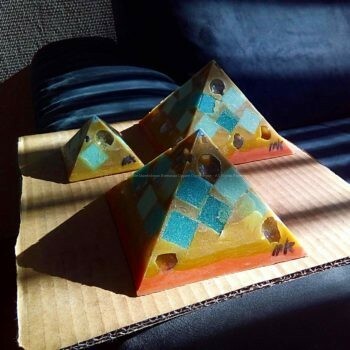 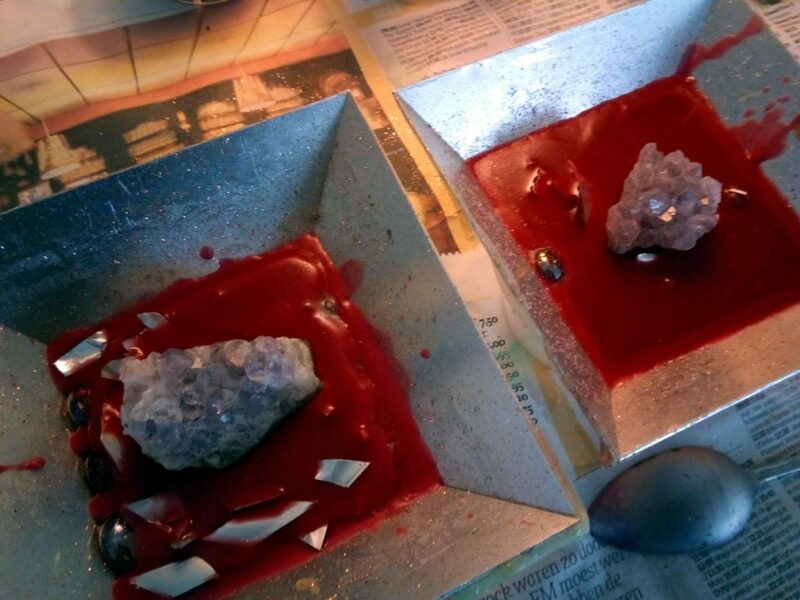 Healing Crystals – Gizah Pyramids Orgonite Set is a new idea to give you the opportunity to have a set of beeswax orgonite pyramids, to an interesting price. 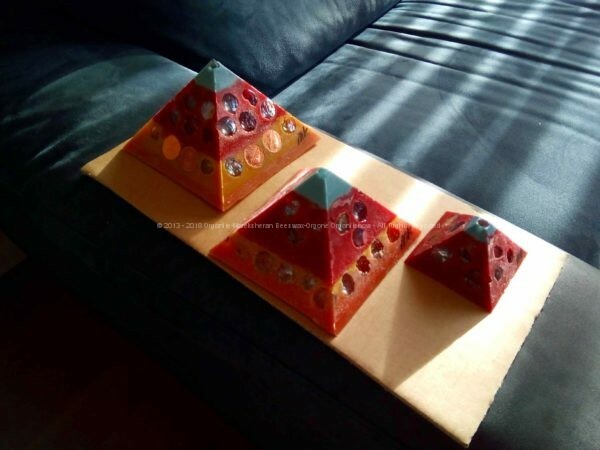 Healing Crystals – Gizah Pyramids Orgonite Set is at the moment one of the few kit available, we will decide in the future if create others, remembering to you that anything we produce is an art object done by me, and never nothing is equal to something else neither inside the same “stock” (as you can see ever clearly in the pictures ever). 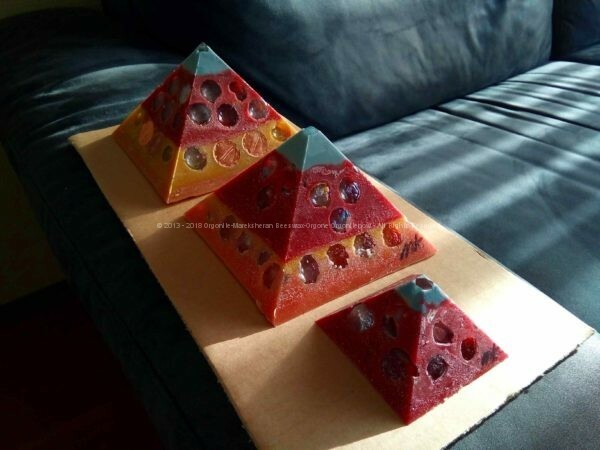 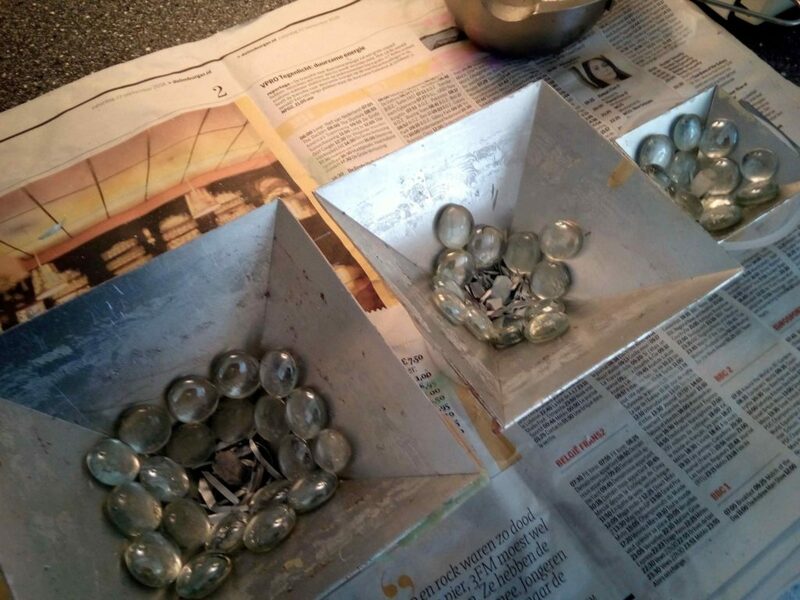 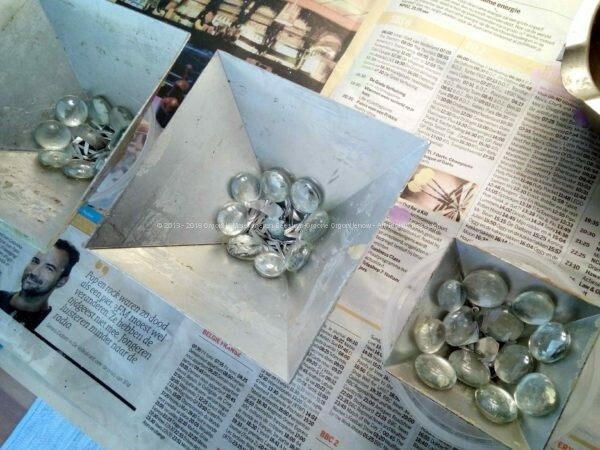 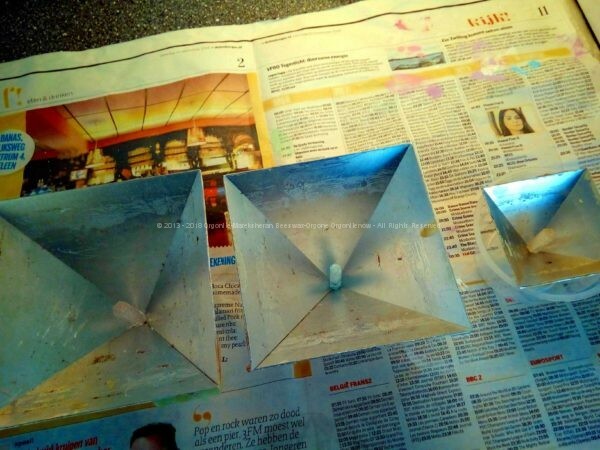 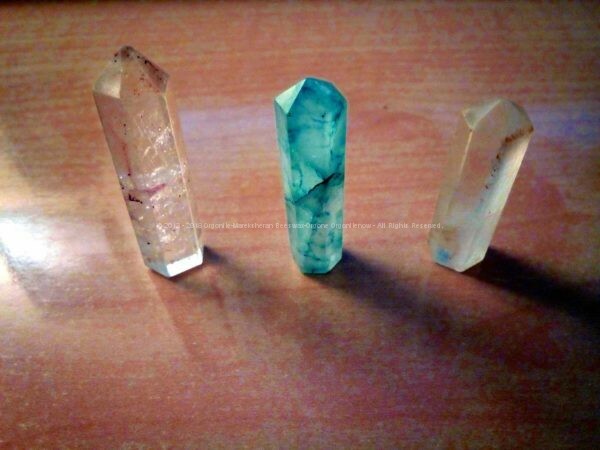 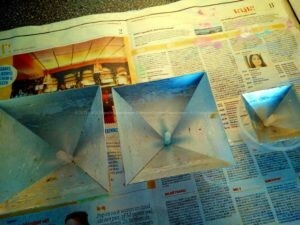 So Healing Crystals – Gizah Pyramids Orgonite Set is done by three orgonite pyramids, in Giza scale, 13, 11 and 6.5 cm side. 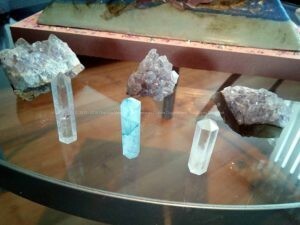 This Set is done by pyramids containing 1 laser quartz on top (any pyramid as you can see from gallery pictures) and a special amethyst quartz as heart, and is a very protective set of pyramids to keep at home or at the office.